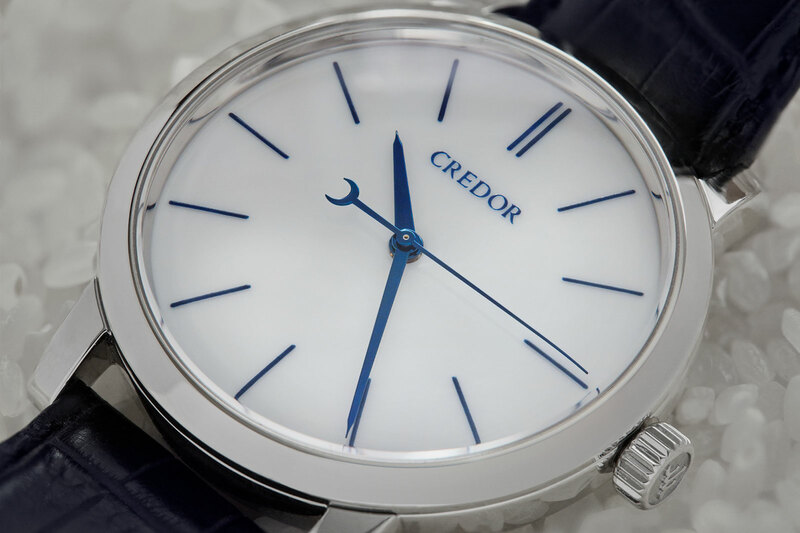 The Grand Seiko 8 Day Power Reserve and Credor Eichi II are two strands of the same thread, products of Seiko’s Micro Artist Studio, a compact, two-room workshop in Seiko Epson’s factory in Shiojiri, a city in Nagano. Set up in the year 2000 to make the finest watches conceivable, the Micro Artist Studio is made up of 10 craftsmen, including watchmakers and engineers, who produce between 30 to 40 watches a year. 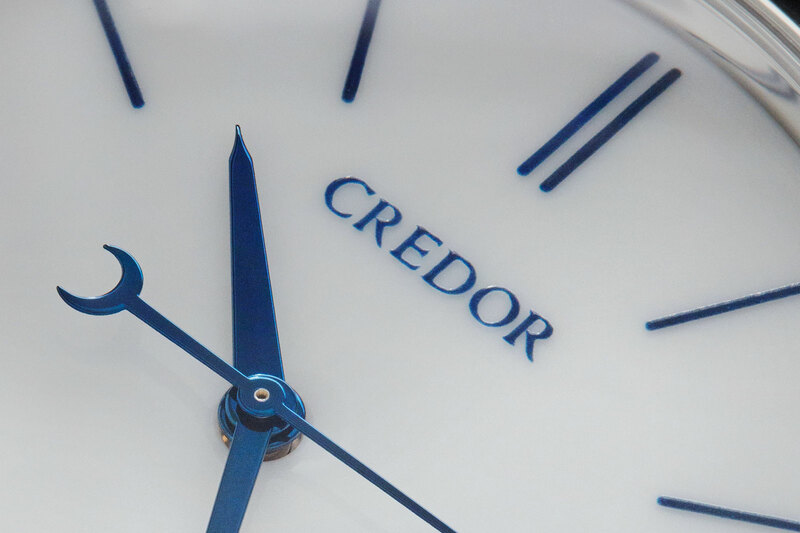 The workshop does produce more complicated watches – the namely Credor Minute Repeater and Credor Sonnerie – but the 8 Days and Eichi II are arguably its quintessential timepieces, being time-only watches that are all about fine, fine, finishing. After all, one of the inspirations behind the work at the Micro Artist Studio was Philippe Dufour and his Simplicity. So the obvious question becomes which is better? 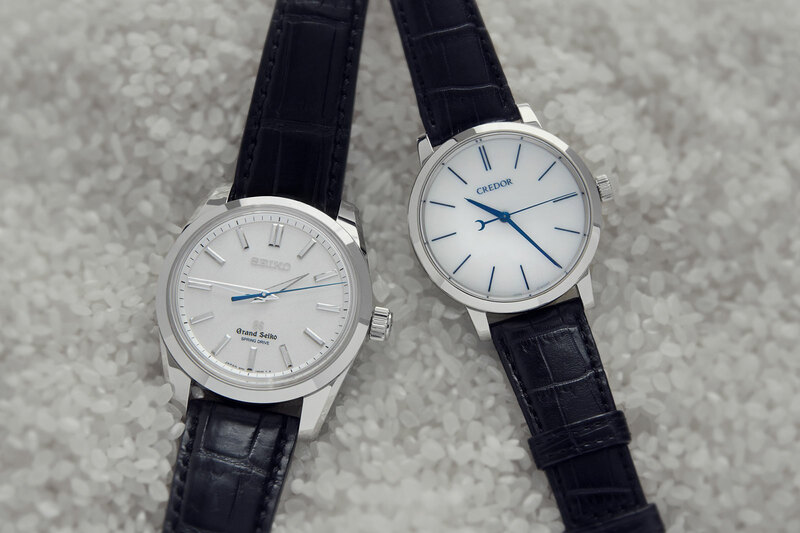 Both the Eichi II and 8 Days are made in the same workshop by the same craftsmen, and both run on Seiko’s proprietary Spring Drive technology. Both are also platinum, and priced within 10% of each other. But they are very different watches. The Eichi II is undoubtedly more familiar, having been in production longer. 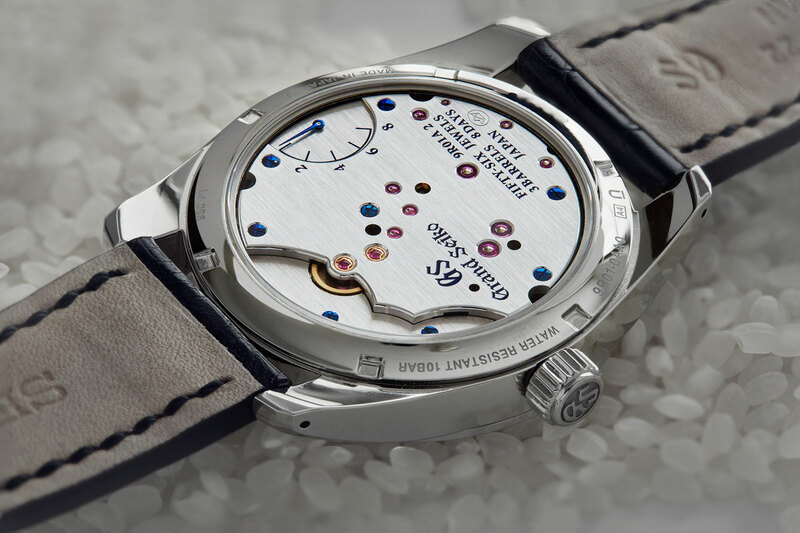 A successor to the landmark Eichi I – the first watch that demonstrated Japanese watchmaking’s equal standing with the Swiss – the second generation model was introduced in late 2014, and with about 25 made a year, there are around 75 in circulation. Consequently they pop up regularly on social media, being a critical hit amongst aficionados who understand such things. It is perhaps careless to characterise a watch as a nationality, but the Eichi II feels, to an outsider, very Japanese. A modest 39mm in diameter, the Eichi II is clean, yet extraordinarily refined in its details and design. The aesthetics bring to mind a freshly raked garden, the tea ceremony, and rice paper screens. And appropriately, eichi, or 叡智, translates as “wisdom”. On the wrist the Eichi II is striking for its simplicity, but only up close and under changing light do the details emerge. 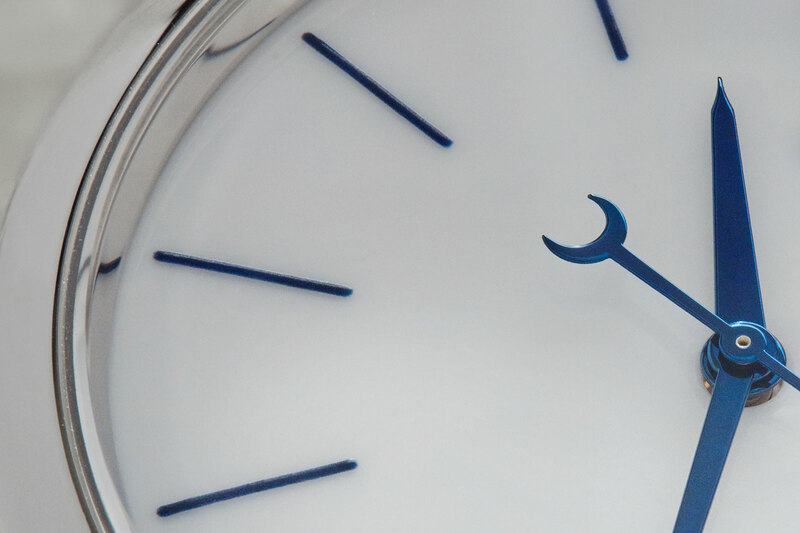 The porcelain dial is white, so white as to be almost luminous, and also glossy. According to Seiko, the reason for that is its composition, 100% aluminium oxide, giving the dial unparalleled whiteness. Ordinary porcelain dials, on the other hand, usually contain some additives that result in a shade that is every so slightly off-white. 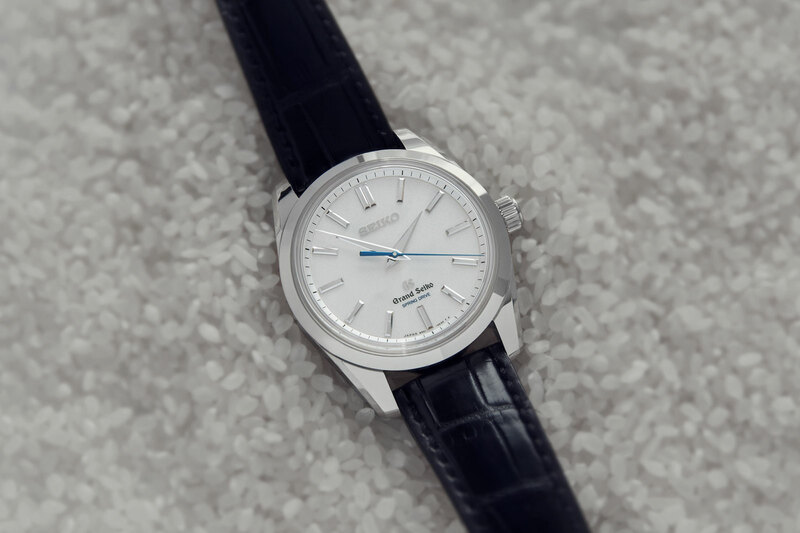 Not only is it white, the dial is also exceptionally glossy – the painted logo reflects onto the underside of the sapphire crystal and then onto the dial. The logo, as well as all the markings on the dial, are painted freehand by a craftsman at the Micro Artist Studio, who uses a minuscule brush and microscope for the delicate task. He spent three years mastering the art of painting porcelain, so to ensure the Eichi II is as in-house as possible (the porcelain dial base is made by an external supplier also located in Nagano). In contrast, the porcelain dial in the Eichi I was produced by Japanese chinaware maker Noritake. 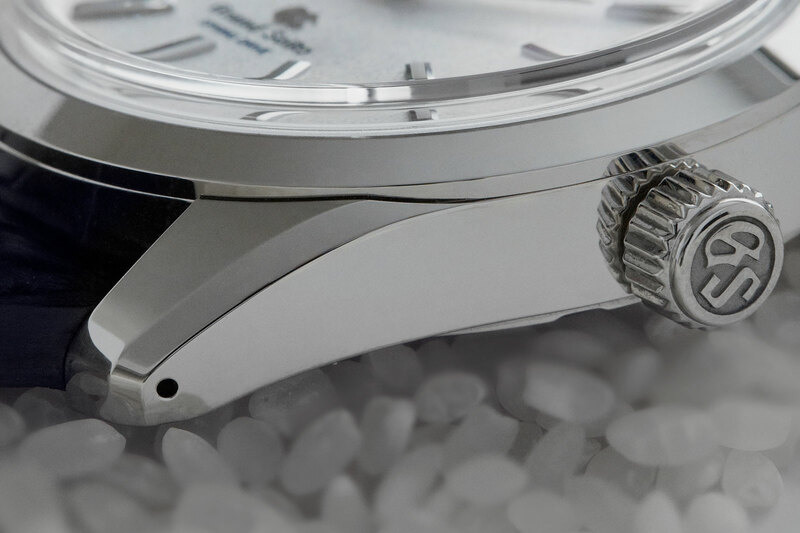 Continuing the feel of refined quality are the hands hands, which are blued, slightly domed and sharp tipped. Flip it over to reveal the cal. 7R14 and there are dozens of reasons why this is a great watch. The finishing is tremendous, and heavily inspired by Philippe Dufour’s work. In fact, your correspondent recently spoke with Mr Dufour at SIHH on this very watch, which he said he “knew well” and pronounced the finishing “very pure”. Like all movements constructed by the Micro Artist Studio, references to the landscape around Shiojiri are embedded in the movement design. The channel between the two bridges is meant to be a river, while the two jewels with shock absorbers are the eyes of a frog looking at the moon, which is the barrel. The bridges are rhodium-plated brass while the open-worked barrel is steel; the bellflower on the barrel is perhaps the most lyrical element of the movement, and a reference to the official flower of Nagano prefecture. Though a well worn story by now, the tale of how the Micro Artist Studio finishes the polished bevels, or anglage, in the movement is worth retelling. When the Micro Artist Studio was first established and work began on its first product, the Credor Sonnerie, team leader Kenji Shiohara travelled to visit Philippe Dufour’s workshop in Le Sentier to study the Swiss watchmaker’s techniques. He brought back with him a dried stalks of Gentian plant, a soft wood used for anglage. Though common in Alpine regions around the world, Gentian plants are rare in Japan, which mean the Japanese craftsmen had to rely on the Le Sentier stalks. But in their relentless quest to do as much as possible in-house – thanks to a genuinely held belief that vertical integration means improved quality – a source of Gentian wood was found in northern Japan, where a university in Hokkaido cultivates the Gentian plant for its medical school. After that discovery, the Eichi was finally an entirely Japanese watch. Coming after the several models already introduced by the Micro Artist Studio, the Grand Seiko 8 Day Power Reserve takes things to a different level. It is barely subtle, and almost overwhelming in its quality. First unveiled in platinum in 2016 as the first Grand Seiko produced at the Micro Artist Studio (earlier models were all Credor), the 8 Day is now also available in pink gold. In many ways the 8 Day is visually similar to other Grand Seiko models, except being bigger, more detailed, and well, bigger. 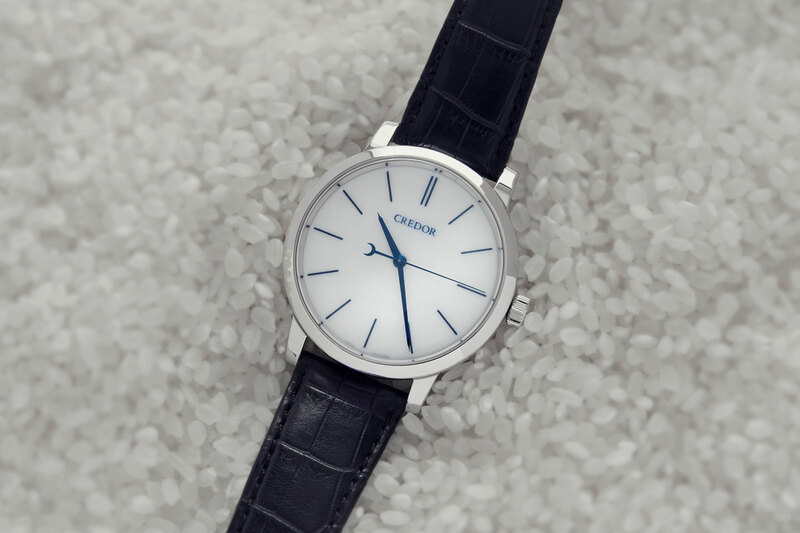 The platinum case is 43mm in diameter (and 13.2mm high), making it easily the biggest watch in the Grand Seiko line-up. 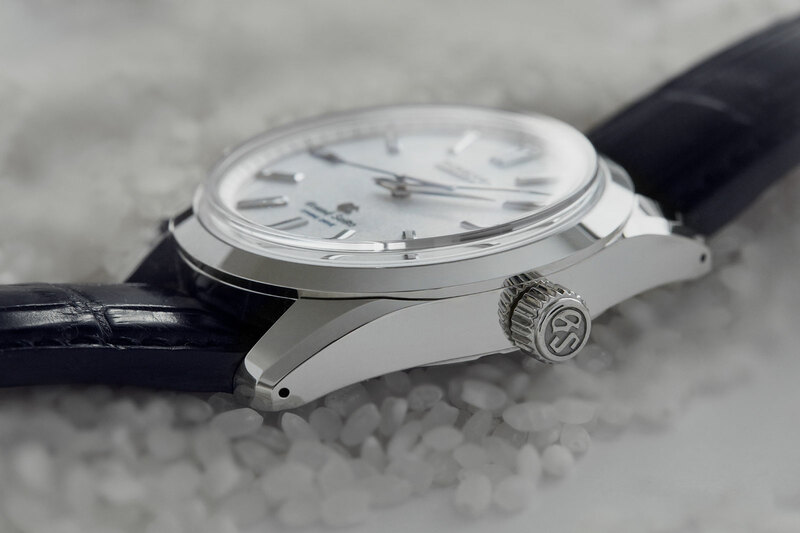 But it is 43mm of extraordinary case finishing, with every surface mirror polished with the zaratsu technique, a method of polishing used for samurai swords. The result is a resolutely flat surface finish with almost no distortion, giving the watch case a remarkable shine. Its size also means the watch is weighty at 168 grammes, compared to just 99 grammes for the Eichi II. 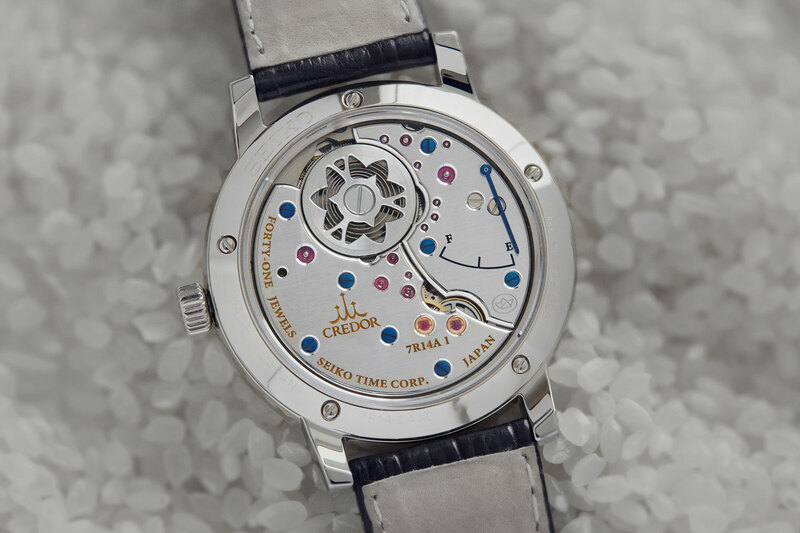 Equally elaborate is the “diamond dust” dial. The result of plating, sandblasting and polishing, the dial surface has an intriguing grained finish that sparkles in the light. Though it appears even and pearl-coloured at arm’s length, the dial has a varying grained surface that’s speckled with grey, an irregular finish that gives proof to its claim that it is hand-finished. 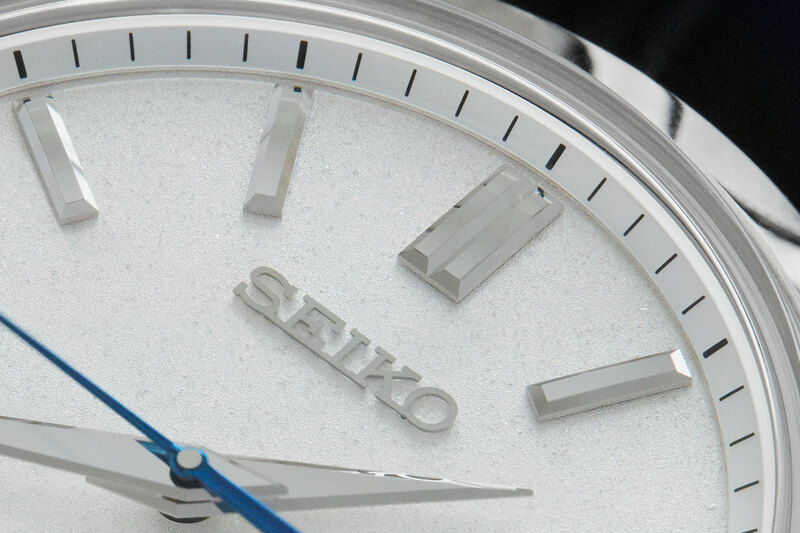 As is typical of Grand Seiko watches, the hands and hour markers are diamond-cut, giving them razor-sharp edges that catch the light at any angle. Lustrous is an apt term. Hoist the platinum case over and the three-barrel cal. 9R01 is revealed. 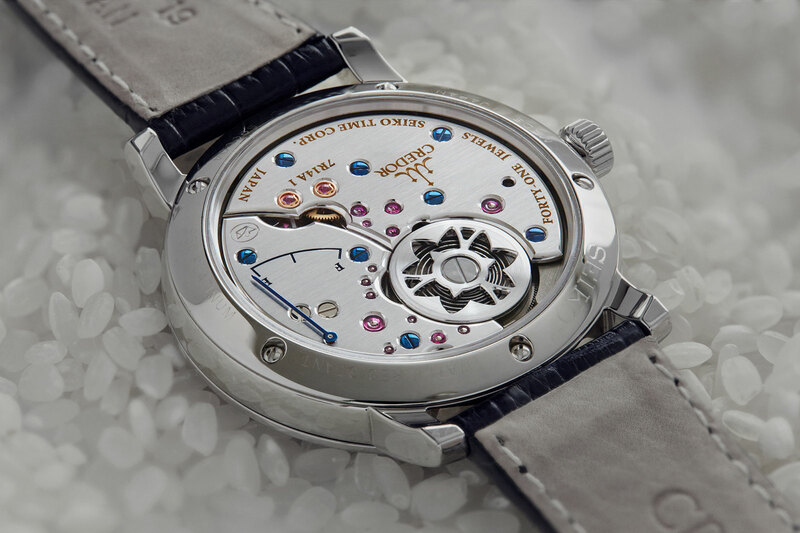 The movement is 37mm in diameter, making it almost as large as the entire Eichi II. While the finishing is peerless, as good as that on the Eichi II, the full bridge leaves little to see. Shaped with a jagged top edge to recall the mountain range outside the Shiojiri factory where the Micro Artist Studio is located, the bridge is made of rhodium-plated German silver and delicately detailed. The bridge is so large it does brings to mind a mountain in miniature, or a monumental landscape painting. The size and shape of the bridge are not for mere aesthetics. It’s almost three times as thick as the bridge on an ordinary Spring Drive movement, made that sturdy and large for stability and shock resistance, ensuring that all three barrels and other pivots are properly aligned at all times. 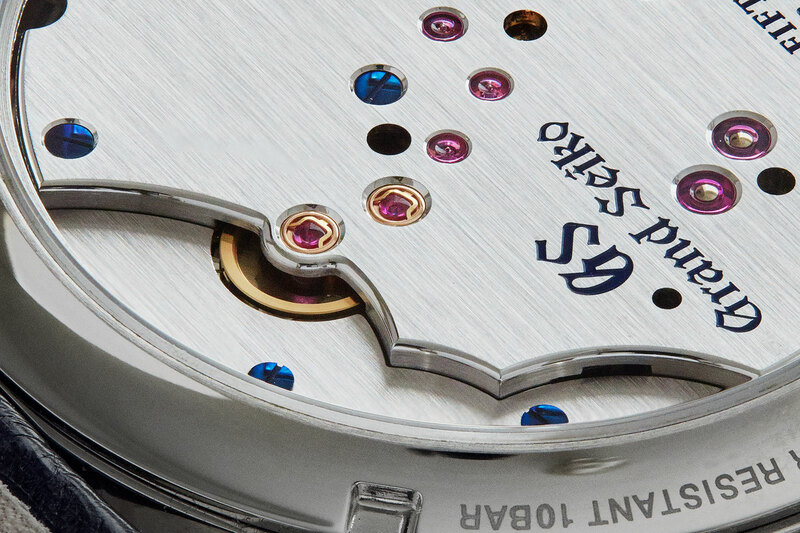 Despite its size, every detail in the movement is impeccably executed. All the screws and jewels sit in polished countersinks, while the bridge is finished with a precise straight graining. 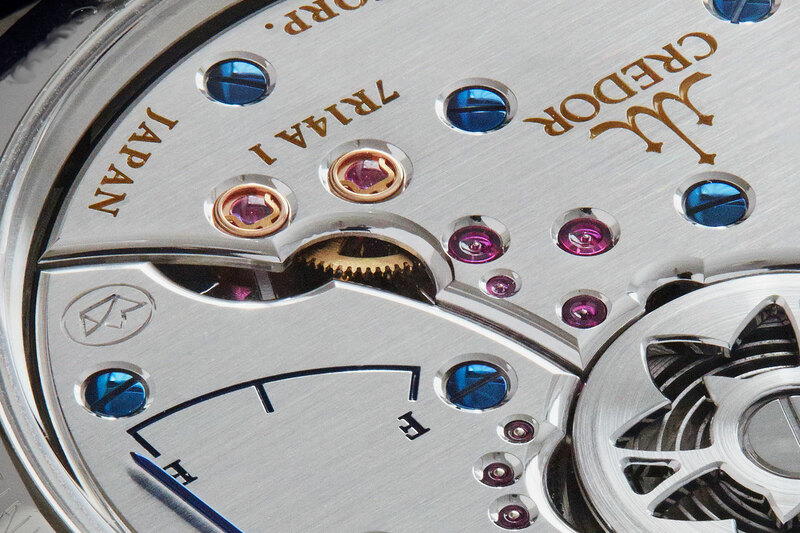 Nevertheless the movement has less visual interest than that of the Eichi II because of its design. If there are any nits to pick about either watch, it is a pair of shortcomings both share. The first is aesthetic: the laser engraving both case backs is shallow and feels simplistic. And the second concerns the movements, which lack sharp, inward angles on their respective bridges (or barrel in the case of the Eichi II). That being said, both the Grand Seiko 8 Day and Eichi II are as good as it gets – and a lot better than the competition from any country. Despite both watches originating in the same workshop, they are intrinsically different, philosophically and tangibly. While the Eichi II feels Japanese, the Grand Seiko 8 Day feels, well, Western. 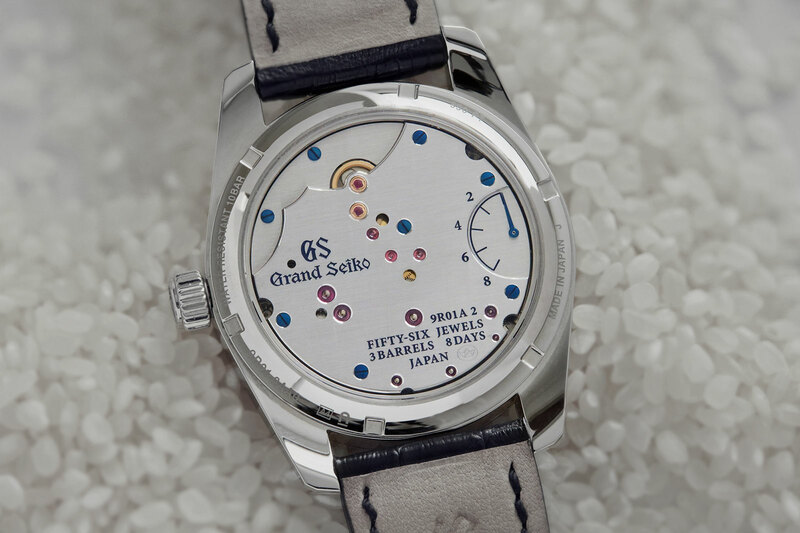 And there is some commercial truth in that characterisation, as Grand Seiko is gradually continuing its international expansion, where many markets are more inclined towards larger watches than Japan. If there is such a thing as drastically over the top quality, then the 8 Day is just that. In some ways it is reminiscent of Lange’s uber-ambitious watches like the Lange 31 and Triple Split. But for all its expansive merits, the 8 Day verges on being immense and unwieldy on the wrist, while also requiring several dozens turns of the crown to wind fully. It is a less manageable watch than the Eichi II. At the same time, the 8 Day is arguably better value. It costs barely 10% more than the Eichi II, but it is a lot more watch, both literally, technologically and qualitatively. 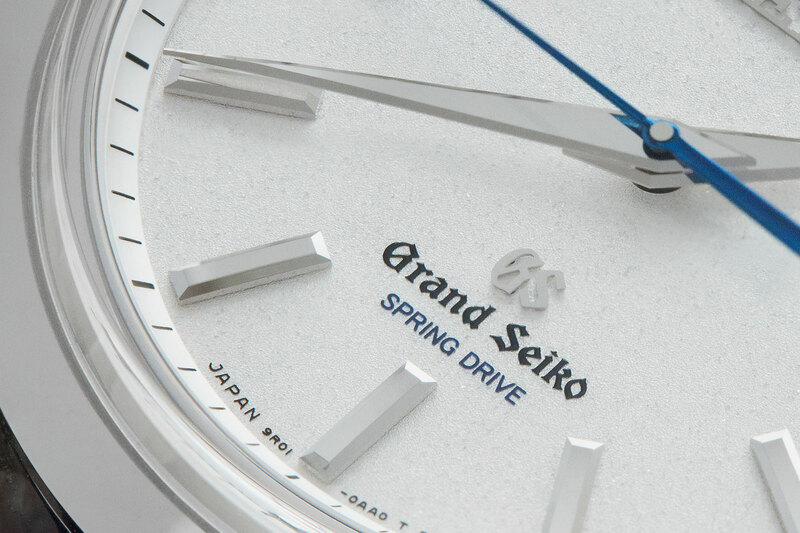 The Grand Seiko 8 Day Power Reserve (ref. SBGD201) costs ¥6.2m before taxes (or about US$56,400), while the Credor Eichi II (ref. GBLT999) is ¥5.7m (approximately US$51,900). Both are available worldwide, but only at Seiko Premium Boutiques and selected retailers. Celebrity photographer ND Chow captures the essence of craftsmanship at the tiny workshop producing the finest watches in Japan.